Police CID director Grace Akello, with other officers at the scene of MP Abiriga’s shooting on Saturday. The killers of Arua Municipality MP Ibrahim Abiriga and his brother and body guard Said Kongo, 48, first did a surveillance of his movements in Kirinyabigo village, Kayi Zone, Kawanda before executing their mission on Friday, PML Daily has learnt. According to area residents, from Friday morning, they had seen about 4 strangers in the area seemingly trying to survey and understand the place. “Initially, I thought they were looking for a house to rent given this area is fast emerging, with many people settling in,” said Isma Kakooza, a resident who witnessed the shooting. 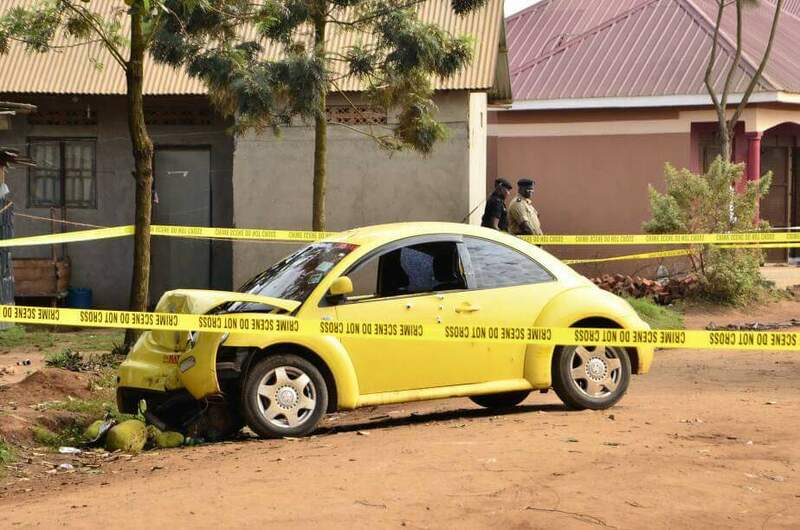 Kakooza said the men were in plain, civilian clothes and had a boda boda without number plates. It is these men he said he later saw with guns fleeing the scene of the shooting. Another woman, who owns a shop near the scene of the shooting but who preferred to remain anonymous, said at the time of the shooting, she saw about four men, some with hooded faces and others without any thing to hide their faces. Bullet holes on the passenger side ofnthe car on which Kongo was sitting when they were shot dead. She said the men seemed to have planned the attack as some shot from behind the car and others in front. “These killers were very confident and did not seem bothered about onlookers. When I heard gunshots, I struggled to close my shop and then saw them. Some had covered their faces while another even had ear phones and had not covered himself. When he saw me looking at him, he pointed a gun at home and I had to close myself inside the shop,” she added. 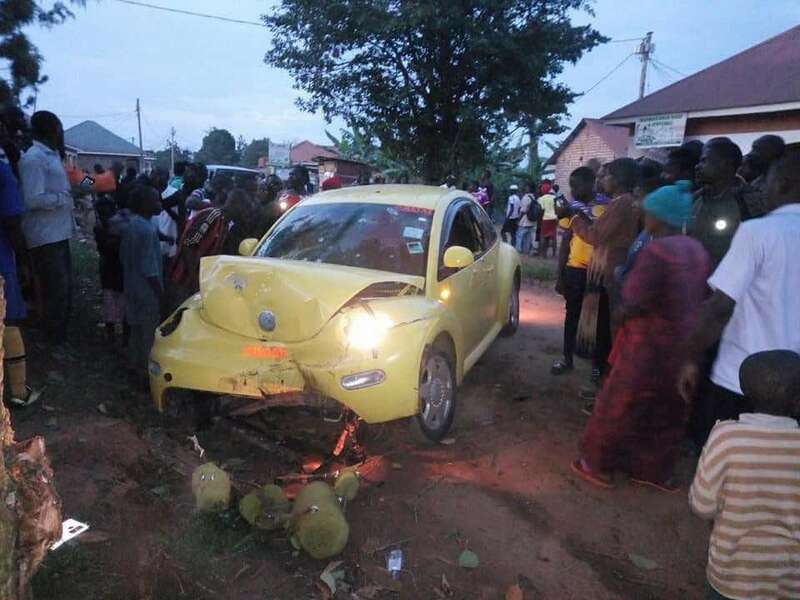 Another witness only identified as Kato said some of the assailants shot at Abiriga’s car from behind while others shot from the front, forcing him to veer off the road and hit the nearby jackfruit tree. 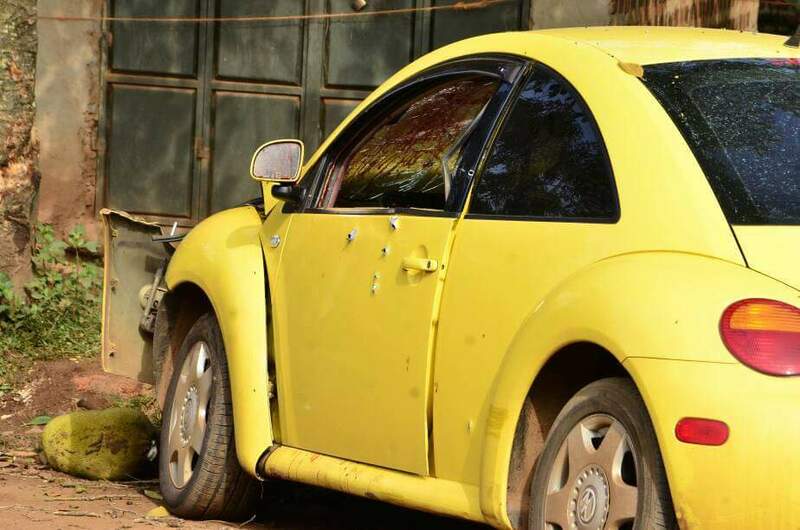 According to Kato, the men even approached the car, further shot more bullets inside and then took off. The assailants targeted when he had gone off the main road and was only about 300 metres away from his home. Some came from behind the car while others came from the front. Area residents said Abiriga, at the time of shooting, was on his way home to break the fast since he is a Muslim who has been respecting the Ramadhan period. Kato said the legislator was well loved in the area since he often stopped his car to greet anyone he met on the way. According to Kakooza, he often stopped to give sweets or chocolate to children. “Initially, we did not know him but after we saw him in the news talking about his support for NRM and then the yellow colors of his car and his clothes, we started recognising him,” he said. However, Kakooza said Abiriga was a humble man who did not deserve to be killed in such gruesome manner. “If anyone in this village said he ever quarrelled with Abiriga, he would be lying. This man was very good to everyone. Why would someone kill him,” he said. Residents at the time of his death, he was not putting on his famous yellow suits but was rather putting on a long tunic. He was also driving himself at the time of the accident, having fired his driver months ago. The assailants are said to have dropped a phone at the scene but police did not confirm this and instead said they dropped a gun. Residents said police officers started arriving at the scene about 40 minutes later before sealing it off. The murder has shaken the nation, raising further questions about the capacity of the security agencies to stop crime. According to senior officers handling the investigation, the killers are highly organized, sophisticated people. 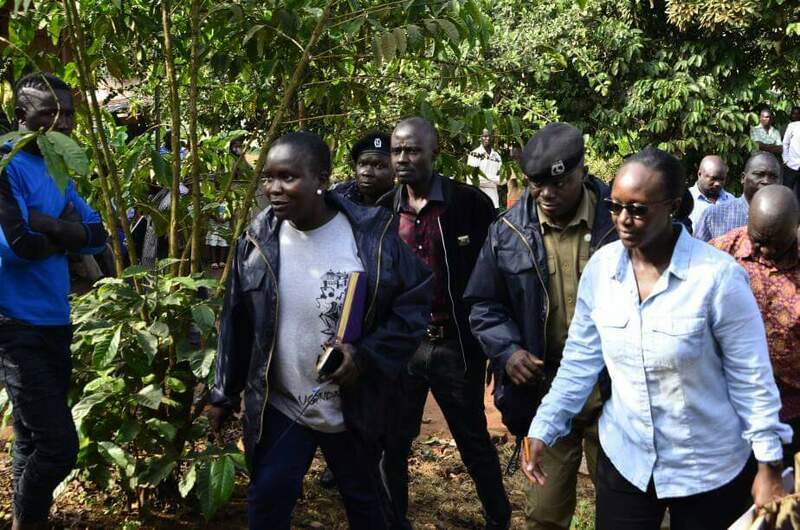 The killers of former police spokesperson Andrew Kaweesi, senior prosecutor Joan Kagezi and Major Kiggundu, the husband to Mama Phina used the same methods: rapid shooting and taking off using a boda boda. This, the officer said, indicates that these could be the same perpetrators.